As part of our e-Literate TV series of case studies, we had a chance this fall to interview faculty and staff at Northern Arizona University about, well, a lot of stuff.1 Rather than highlighting a specific program or course redesign, NAU has invested in and implemented a suite of initiatives focused on improving student learning and success by rethinking the experience of (mostly) first-year students. 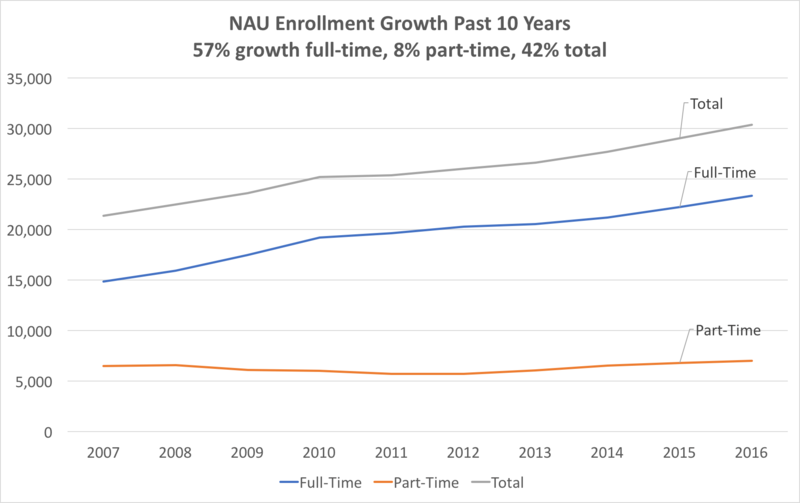 The core challenge NAU faces is to make these student-facing changes while facing growing enrollment, particularly for full-time undergraduate students. To make matters more interesting, more than 40% of first-year students are first-generation - a demographic group that can be fully capable of getting a degree but with an uphill climb in the first year. These challenges lead to a somewhat unique situation for a large research university. In this first episode, we highlight the suite of initiatives and how they fit together. In upcoming videos we'll take a deeper look at two programs. 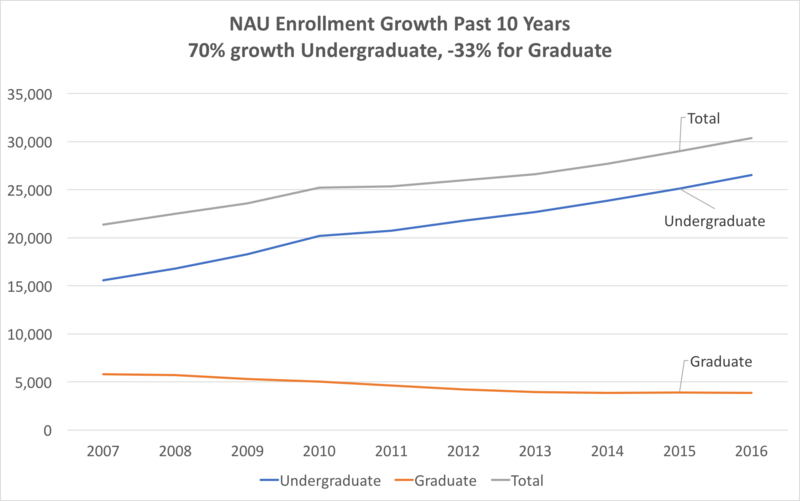 In episode 2 we'll look at NAU's student support outside of the classroom, driven partially by the Integrated Planning and Advising for Student Success (IPASS) initiative. In episode 3 we'll look at NAU's use of a modified emporium for first-year math courses.